Additionally, the researchers studied brain organoids—laboratory-grown tissues coaxed from stem cells of apes or humans and forming a simplified version of organ parts. These brain proxies were examined to try to understand how differences in gene expression during brain development in humans and chimps might account for chimps' smaller brain volume, which is three times less than human brain volume. There are also significant dissimilarities in cortical structures in human and chimp brains. 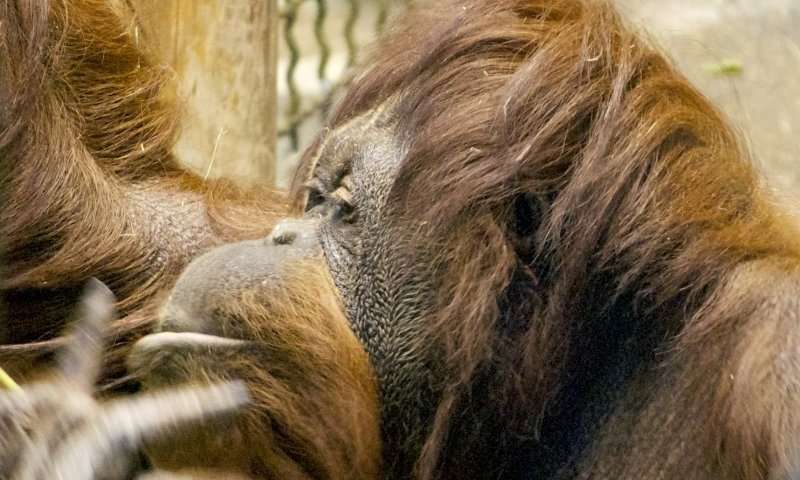 Other discoveries reported in this Science paper stem from an investigation into the origin of a fossil virus, similar to present day retroviruses, that is thought to have been present in the genome of the common ancestor of all African apes. The high quality sequence helped identify the "source PtERV1," common to chimpanzees and gorillas. 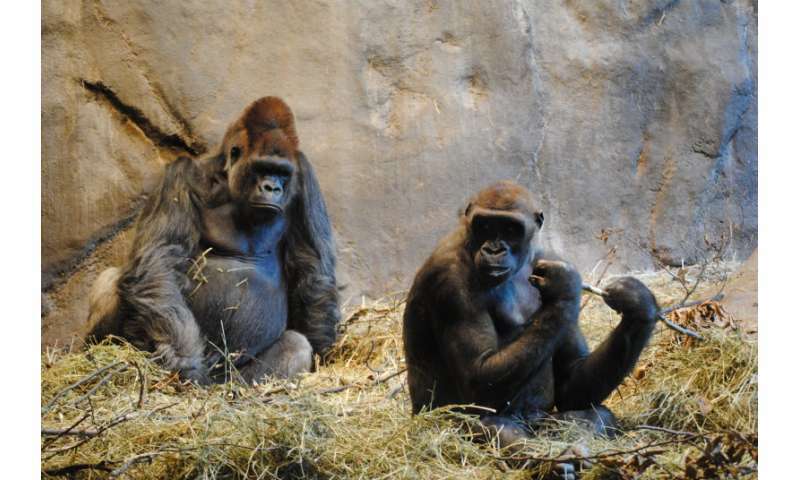 Modern day chimpanzees and gorillas carry hundreds of PtERV1 retroviral insertions that appear to have originated from this source that never made it into the human genome. The "source PtERV1" was overlooked in the earlier draft genomes because it mapped to repeat-rich gaps. Then at the end it will be confirmed that humans are humans and apes are apes and chimps are chimps and never did a human have an ancestor in common with either of those. The end is near! Then there will be loud wailing and weeping and a gnashing of teeth but it will be too late! "...might account for chimps' smaller brain volume, which is three times less than human brain volume." This is awkward writing. When you say "three times", the reader expects a multiplication of something. But then you actually say chimps' brain volume is significantly less - not more. That is a confusing message. A better way to say this is, "...chimps' smaller brain volume, which is about one-third that of humans." Clear writing matters. Reader understanding matters. Good editing matters. It means that all those articles that I have seen here that says chimps and humans are genetically identical were BS. Feel free to name these phys.org articles that say chimps and humans are genetically IDENTICAL. 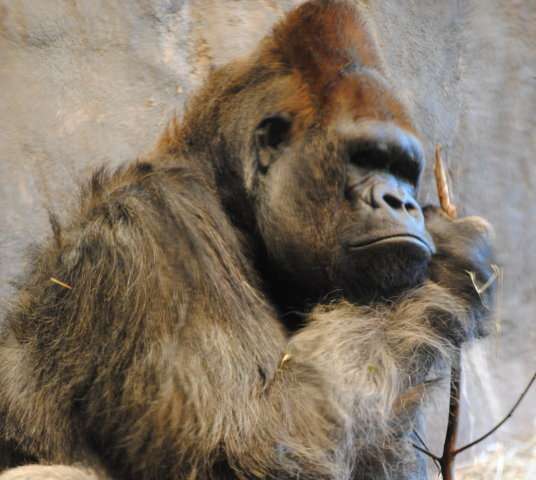 @Fred Jose: Odd response seeing how the findings confirm the common ancestor: "their recent findings fit with their previous studies showing that the genomes of the common ancestral lineage for African great apes likely underwent an expansion of segmental duplication more than 10 million years ago." And please don't refer to useless superstition on a science site. @sascoflame: Not identical, but very alike at 99 % sequence identity in genes due to the recent common ancestor. The described non-identical findings were on repeated retroviral elements, for instance.